Home – News – Latest News – Reuse Your Waste! Many people are aware of the three R’s – reduce, reuse and recycle, and government data from 2015 shows that the UK recycles on average 44.3% of our waste. As a country, we’re improving both our recycling and reduction rates. Figures show that from 2016 to 2017, the 7 major retailers issued 83% less plastic bags, compared to 2014, since bringing in the 5p charge. So that’s reducing and recycling covered, but how often do you think about reusing some of your waste items? With many school holidays throughout the calendar year, why not try out some arts and crafts to keep your children occupied? Being creative has many positive benefits for children including stress relief and self-expression. Teaching arts and crafts with waste items that are found around the house can also teach them the importance of the three R’s and caring for the environment. 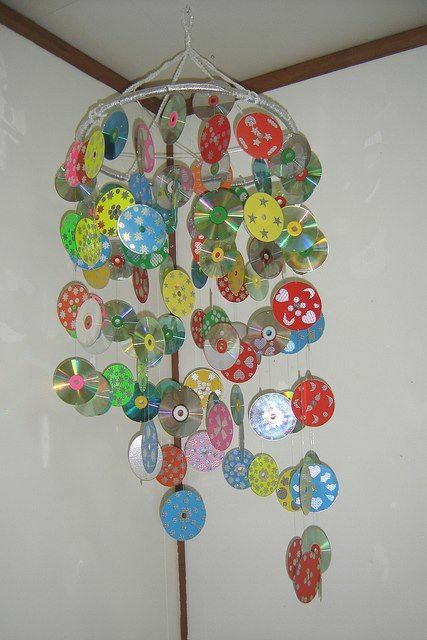 There are many fun items that can be made from reused materials such as pen pots from plastic/polystyrene cups, handbags made from plastic bags and mobiles made from old CDs. Youtube is a great resource, with plenty of videos available to help your child have an arty afternoon using reused materials. Some of our favourite channels are Artkala and All Art Tips. Now that you’ve shown your children how to reuse everyday waste, why don’t you have a go as well? Items such as glass and plastic are easily recycled, but why not help to reduce the time and energy that goes into that process by turning these items into something useful for yourself? Need a new set of drinking glasses? 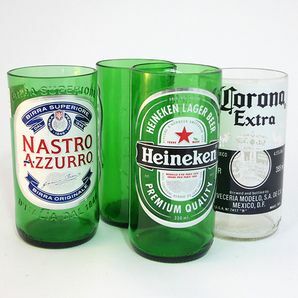 You can create some truly unique items by using old glass bottles, such as beer or cider bottles. Coffee jars, jam jars, and any food product that comes in a glass container will always have other uses. You can use them as desk organisers, somewhere to keep your hair ties and grips, or a place to store your screws. There’s no need to throw out your pile of old bed sheets when you can put them to good use. They’ll come in handy should you ever decide to redecorate and need something to protect your flooring or furniture. Old sheets or clothing (if they aren’t in good enough condition to donate to charity) can also be used as dust cloths or polishers! Plastic bags have a long lifespan and can be used over and over again, rather than purchasing a new one every time you visit a shop. Plastic bottles can also be reused a couple of times before becoming a little unhygienic, so next time you finish a bottle of sprite, refill it with water! Once they can no longer be reused for drinking out of, they can easily be transformed into bird feeders or self-watering seed pots. Reusing your everyday waste is a lot simpler than it may seem, all it takes is a little imagination. However, if you are in need of a recycling solution, contact Dial a Bin today and we can discuss your needs.